This is a beautiful Poppy Print Cosmetic Bag by Powder Designs. The large bag is practical as well as colourful and stylish. Complimentary gift packaging is provided so makes a great gift. 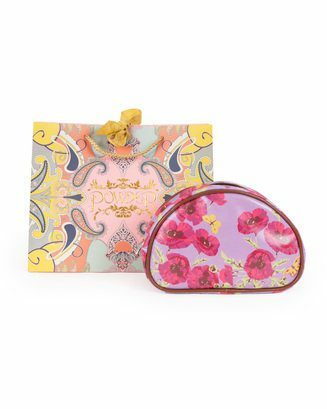 This is a beautiful Poppy Print Cosmetic Bag by Powder Designs. The cosmetic make-up bag is practical as well as colourful and stylish. Complimentary gift packaging is provided so makes a great gift.